You finally begin to wake up after hitting the snooze button one too many times and all you can think of is you need coffee NOW! So, you stumble to the kitchen and pick out your favorite coffee and begin brewing. Just the smell of your favorite coffee beans gives you a nice kickstart to your day and begins to give you hope that everything will be o.k. The fresh pot of coffee is now nice and hot and the beautiful aroma of your freshly brewed Fair Trade coffee is now ready to be poured into your favorite mug. You take a quick sniff just before you are about to take a sip and immediately a smile forms on your face, the first smile of the day because in that moment you feel like you are in heaven. After a couple cups of fresh joe you’re ready to take on the day! Nothing can stop you, because today you are going to change the world! However, 2pm comes around and all that gusto to change the world has left you and you’re ready to crash right there on your desk. Well, if you’re like the almost 50% percent of americans then you have yourself another cup of coffee to give you that ”pick me up” you so desperately need. So you drink a few more cups of coffee and now you’re set to finish your work day off strong. Because before you know it bedtime comes and you can’t seem to fall asleep. You have this restless feeling and stay up all night tossing and turning before you finally drift to sleep. Come the next morning you again struggle to get out of bed and wake up fully until you have your morning coffee. This carries you to lunch and then of course you drink a couple more cups to get you through the rest of the day. This now becomes the story of your life. A vicious cycle has been created and if you are going to make it through the day you not only need coffee in the morning but also in the afternoon followed by more restless nights. Coffee and sleep… it truly is a love hate relationship. Did you know that the caffeine in coffee has a half life of about 6 hours? That means that even after 6 hours of drinking coffee you still have half the amount of caffeine circulating in your body. So when you drink that cup of coffee after 2pm by the time you go to bed there’s still at least half of the caffeine still running through your system. Give yourself a coffee curfew.Try and stop drinking coffee after 12:00 p.m. This may be difficult to begin with but as you wean yourself off the afternoon coffee you’ll set yourself up for success in the evening when it’s time for bed. This can help your body to get on a regular sleep schedule which would help avoid that groggy feeling in the morning and the change in mood swings during the day. No, I am not telling you to get rid of coffee all together because as you will see coffee can be a useful tool. There are many health benefits to drinking coffee and as long as we respect the effects it can have on our body we can maximize the benefits. 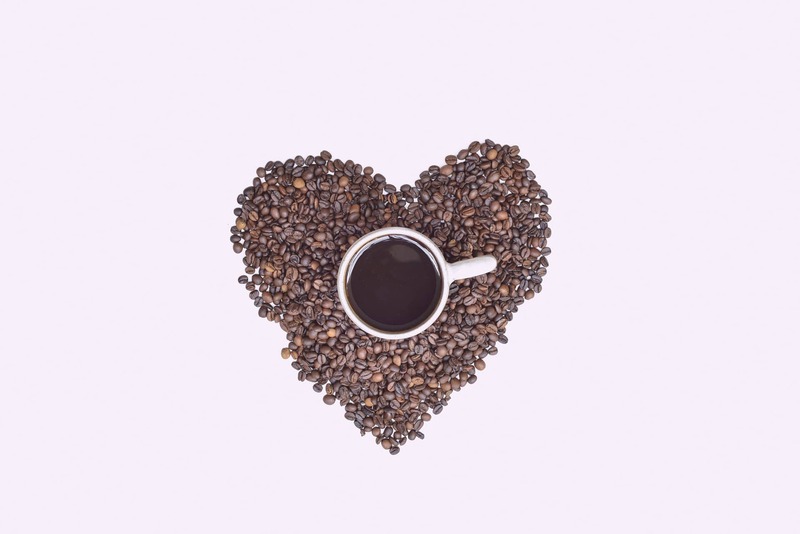 Studies on drinking coffee regularly has shown that it can help lower the risk of type 2 diabetes, Parkinson’s, liver cancer, liver disease, and may also help ease strain on the heart. If you would like to read in more detail on how coffee can protect against these diseases I have included the sources at the bottom of this page. Drinking coffee can also help improve your brain power. The caffeine in the coffee acts as a brain stimulant and can help you think more freely. It achieves this by blocking the activity of adenosine which is a neurotransmitter that affects almost every bodily function. By blocking adenosine, caffeine actually releases other neurotransmitters in the brain called dopamine and norepinephrine which help regulates our mood and behavior. So here’s how sleep and coffee can be a very good dynamic duo. First try to stop drinking coffee after lunch. Then give yourself a good night sleep and after waking up feeling rested give yourself your favorite cup of joe to turn on your brain making you more productive and allowing your mind to think more clearly. And if you want an extra boost with your coffee then try bullet proof coffee. These changes aren’t difficult to make it just takes a little discipline. And hopefully after reading this you’ll learn to use coffee and sleep to work together rather than against each other. If you learned something reading this let us know by writing us a comment below we’d love to connect with you. Or if you have tips on how you use coffee without the negative side effects we would love to hear from you.